Digital Banking Reports’ Terms and Conditions are simply that an individual subscription is for one person only, for the term of the subscription. Team subscriptions (e.g., 10-user) are for the assigned members only. Reports may not be shared with people who are not subscribers or team members. We provide a 100% money-back guarantee if you are not satisfied. 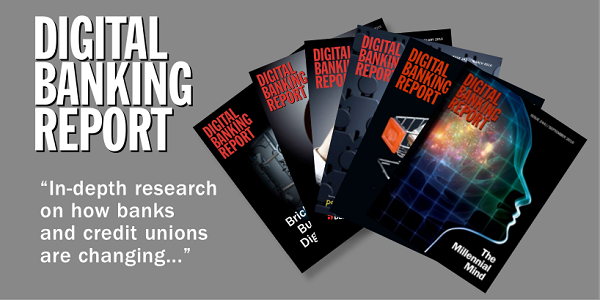 With a legacy of over 20 years, the Digital Banking Report is a leading source of unbiased guidance for bank and credit union product managers, marketers, and executives wanting insights to improve planning and benchmarking.